For over two decades, maestro Laércio Diniz has presented the masterworks of the European classical tradition in the leading concert halls of Brazil. Now, he is bringing a touch of Brazil to European stages: “When performing music from Bach to Beethoven and my personal favourite Brahms, I see my role as building bridges between two musical continents. There is so much both sides can learn and teach in this encounter.” With an approach that combines stunningly vital works by Brazilian composers with the traditional core of the concert repertoire to great effect, these two long-separated continents are coming a lot closer under his baton. Diniz’s career bears all the trademarks of a prodigal ascent. An early talent on the violin, he secured first prize at the “Young Soloists” competition in 1987, earning a DAAD scholarship and studying music in Cologne with the likes of Sashko Gavrilov and Ingeborg Scheerer. Never one to rest on his laurels as a performer, Diniz instantly felt the urge to take on further responsibilities. Upon his return to Brazil in 1995, he founded the Aureus string quartet as well as his own baroque chamber orchestra, which would soon tour through Europe and South America. 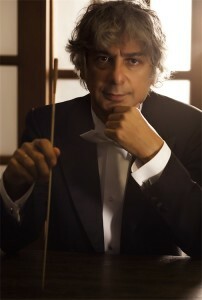 Today, he naturally combines duties as the leader of the Orquestra Sinfônica de João Pessoa with his position as the artistic director of João Pessoa’s prestigious classical music festival. Financial support from insurance company Capemisa has provided him with a high degree of creative freedom and allowed him to engage in social activities for UNESCO-recognised organisation “Lar Fabiano de Cristo”. It is an approach that perfectly matches his warm, collegial personality and has won him prestigious live engagements and recording projects. The next months will see him intensifying his work in Europe with a plethora of concerts and the beginning of a long-term relationship with classical producer Dirk Fischer’s new label Solaire. A first recording of Nimrod Borenstein’s “Suspended op. 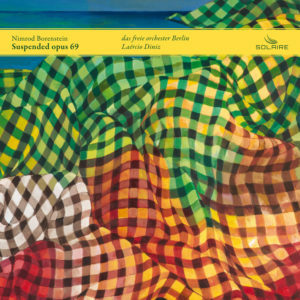 69”, is planned for August and seems like the perfect match: As a ballet, its rhythmical focus is sure to benefit from Diniz’s Brazilian roots.